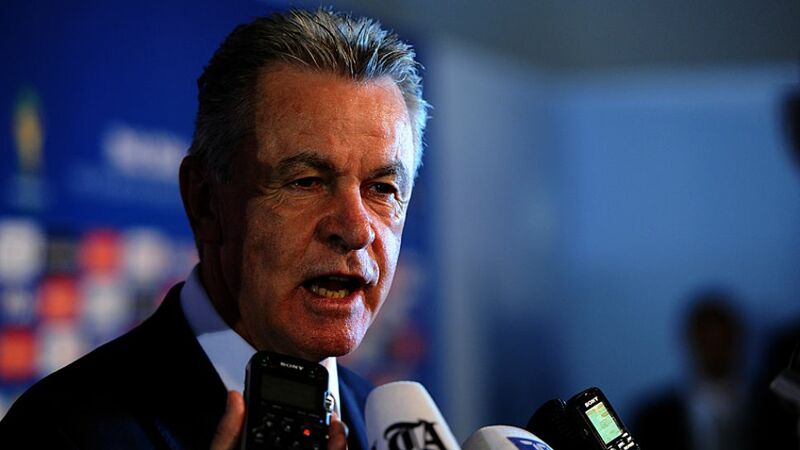 Ottmar Hitzfeld is tipping Borussia Dortmund to push FC Bayern München all the way in the Bundesliga this season. The 67-year-old, who won Bundesliga and UEFA Champions League titles with both clubs, believes Dortmund are back in a position where they can threaten Bayern's domestic dominance. "I would hope that Bayern don't walk away with it, but I'm convinced that Dortmund will be serious challengers," he told RedaktionsNetzwerk Deutschland. "Dortmund are going to hunt Bayern down. They've made some astute signings." Bayern may have won the Supercup, but Dortmund have come out on top of a poll of who has the most attractive shirt in the Bundesliga. The Mediadesign Hochschule has elected the best strip each season for the past ten years, and Dortmund's black and yellow striped number really caught their eyes. VfL Wolfsburg fans who bought a replica shirt with Daniel Didavi's name and number 26 on the back have been offered a free exchange after the former VfB Stuttgart midfielder asked for the number 11 shirt instead. Didavi had been wearing the number 26 in pre-season, but following Max Kruse's departure for Werder Bremen, the 26-year-old decided to swap. "I would've liked to have the number 11 from the outset, but at the time of my move that number was occupied," Didavi said on his club's website. "I'm naturally delighted to have now received the number and I think it’s a wonderful gesture from Wolfsburg that the fans can exchange their old shirts free of charge." FC Schalke 04 coach Markus Weinzierl confirmed that Benedikt Höwedes will remain captain of the Die Knappen. Speaking ahead of Schalke's DFB Cup clash against FC 08 Villingen, Weinzierl told kicker Magazine: "When he joined the team in Austria [after his Euro 2016 holiday] you could see right away that he's an important player, and that other players identify themselves through him." In a similar vein, FC Augsburg coach Dirk Schuster has confirmed that Paul Verhaegh will remain captain of Die Fuggerstädter. However, the 32-year-old will miss Augsburg's DFB Cup first round match against FV Ravensburg due to injury after spraining an ankle in training. "If this was a final he would probably be able to play on painkillers, but we don't want to take that risk ahead of a long season," explained Schuster. With the Bundesliga kicking off next week, Verhaegh could now also miss the team's opener against VfL Wolfsburg on Matchday 1.